iPhone 6 is bigger and better in every way. It is Large yet superslim. iPhone 6 is powerful yet power efficient. With ultra smooth metal surface that perfectly integrated with Retina HD display. 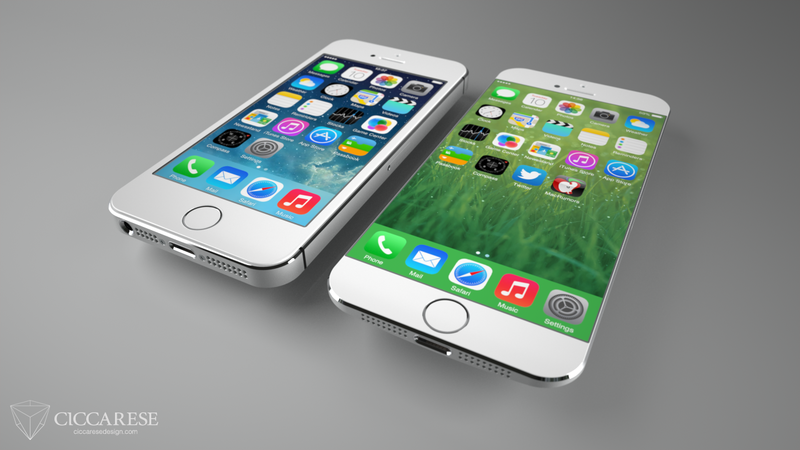 It is made of superb combination of hardware and software that makes iPhone 6 winner. Building iPhone with a bigger, more powerful display meant pushing the edge of design. From the glass and metal, every detail is extremely carefully crafted to optimize your experience. iPhone 6 is 4.7 inch long and 6.9 mm thick. It has Retina HD display and screen resolution of 1334× 750 at 326 PPI. iPhone 6 has 64-bit desktop like architecture. It has brand new A8 chip which delivers more power. The M8 motion coprocessor efficiently collects data from powerful sensors and new barometer. More people take more photos with iPhone than with any other phone. iPhone 6 has faster LTE download speeds and it supports more LTE bands than any other smartphone on the planet so you can go to various places and stay connected. And when you are connected to Wi-Fi, you will get amazing up to 3x faster speed. The revolutionary Touch ID technology allows you securely access your iPhone with the unique password: your fingerprint. You can also use your fingerprint to authorize purchases from iTunes, iBooks, and the App Store without entering password. It has built in health app which can record all of your health information. iPhone 6 makes shopping quicker, easier, and more secure. Apple Pay combines the convenience and security of Touch ID and Passbook with NFC technology. So you can use iPhone 6 to pay in stores and within apps with a single touch. iPhone 6 is available in three variants 16 GB, 64 GB and 128GB. iPhone is $199, $299, and $399 respectively with monthly plans from wireless carriers. iPhone unlock version starts from $649.